Question:Is it okay to massage shortly after a stroke? (1 week). Is there a risk of another stroke happening? Massage itself does not increase a person's risk for stroke, but there are precautions that need to be addressed with certain individuals. If blood clots exist, there is a small chance they could be dislodged through massage. Individuals on blood thinner bruise more easily so deep tissue massage may be avoided. Care should be taken around the neck area in the region of the carotid artery, but this shouldn't be an issue with an experienced massage therapist. therapy and he will walk. I don't see how that can make him walk again. I think he needs aggressive exercise therapy and that will help more. Am I wrong about that or not? What will benefit him more? 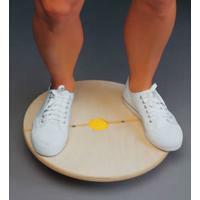 Answer: Physical therapy involves many techniques to help individuals recover their ability to walk including massage and exercise to name a few. I would say that all aspects of therapy are important. If your friend has high tone in his leg, he may need help with reducing the tone as well as stretching to help him walk again. It's also important to strengthen muscles, but if he has high tone, this will interfere with trying to do strengthening exercises. He may feel that he needs massage to help reduce the tone. A physical therapist is the professional to consult for learning to walk after a stroke so hopefully that is the professional your friend has consulted. Massage therapy can be a nice adjunct to physical therapy since massage therapists may be helpful in relaxing tight muscles and reducing spasms. 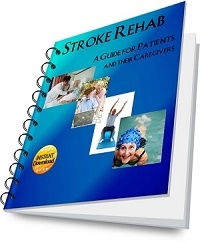 I must stress, however, that a stroke patient should have approval from a physician to receive massage and that one should choose a massage therapist that has medical knowledge and past experience in working with stroke patients. *The material contained on this website is provided for general information purposes only and does not constitute professional medical advice, diagnosis or treatment. My husbands massage has him screaming in pain. He had bleed 3years ago, is this safe? Comment from Stroke-rehab.com: Massage should not cause your husband to scream in pain. An occasional pain would not be unusual but not consistent pain that causes screaming. If the therapist is being too aggressive, then I would seek a new massage therapist. Sometimes, however, stroke patients may be overly sensitive to touch or movement of certain muscle groups. If this is the case, and massage is too uncomfortable for your husband, then I would seek to manage his pain first. Question:My mother had an ischemic stoke 5 months ago and I want to buy her a pillow that massages the head, back, and shoulders. Do you think there is any danger in doing so? Answer: Massage can be quite enjoyable to stroke patients, and it is most likely fine, but I would ask your mother's neurologist just to be sure. Some people have had strokes due to tears in the neck arteries from chiropractic manipulations of the neck or "beauty parlor syndrome" where the neck is bent backward in the sink and turned side to side. I doubt that a massage pillow would put this type of stress on the neck, but I would examine the neck posture when applied and make sure the neck is not in a strained position or overly extended. You also want to avoid massage in the area of the carotid artery particularly if she has carotid artery plaque, stenosis or other carotid artery disease. What kind of massage is appropriate? Question: What kind of massage for a recent L CVA with R hemiplegia/ synergistic pattern to increase strength, movement ,coordination in scapular area? I'm a massage therapist and I have a client who had a stroke 2 years ago. She is paralysed on her right side from the arm down. Her wrist is really flexed and her fingers curled and the doctor has suggested Botox. Can I give her a massage after she received the Botox? How long should I wait? Would it help? If we also combine electrical stimulation (by a physio) - would it be a good combination? Thanks in advance and looking forward to hearing your thoughts! Answer: The client would need to ask the doctor how long she needs to wait before receiving a massage after receiving botox, and I would not give her a massage without a doctor's release or written consent. With cosmetic botox, they do not allow any massage during the first 24 hours, but botox for spasticity can be more complex so you need to go by the doctor's specifications. E-stim is often used after botox, but again, I would find out from the physician how soon e-stim can be used and if the patient is an appropriate candidate for e-stim. 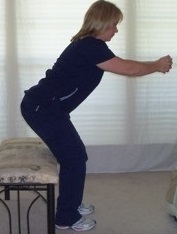 My activity after Botox has been heat, streching, PT for arm work. I find my EMPI (electro stimulator) quite helpful in working muscles with tone.